It has been a busy week here at Classical Chandeliers as we have been exhibiting at the annual Grand Designs Live at the ExCel exhibition centre in London! For those of you who are unaware, Grand Designs is a 9-day long exhibition where visitors can see all of the latest fashions, trends and get ideas for their own designs. It is a time where inspiration strikes and gives many people ideas that wouldn’t have even been considered previously. The exhibition is a place of endless possibilities and infinite ideas! Full of innovative products and ideas for the kitchen, garden and even in technology, all your bases are covered at Grand Designs. Over the duration of the exhibition, we met some great people, heard about many exciting plans which we are looking forward to being a part of and had a great 9 days! You are given the opportunity to listen to talks from Kevin McCloud (the presenter of Channel 4’s Grand Designs), hear design ideas and receive great advice from designers and professionals in their fields. If you missed out don’t worry, it is an annual event! We enjoyed hearing about your current and future plans of what you are going to do in your homes. Just to remind you of one very important piece of advice though; you need to make sure the diameter of the fixture is fitting with the size of your room. If you have a fixture that is too small, it will be swallowed up by the room and won’t be effective at all, on the other hand, if you have a fixture that is too big, the fixture will become too overbearing and will take over the room. 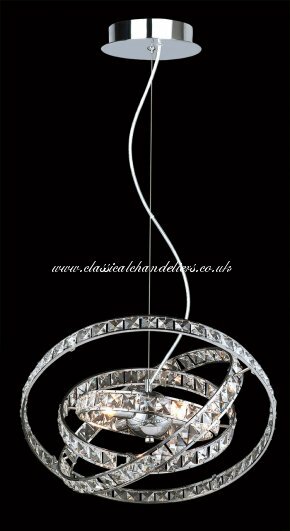 For more information, please follow the link to a previous blog article (http://www.classicalchandeliers.co.uk/blog/how-to-choose-the-correct-size-chandelier/) or get in touch so we can help you further. We had our lamp lady at the stand again this year, and she, again, attracted a lot of attention! Kevin McCloud smiled at seeing her and there were even people who took photos with her! The mosaic design with the lights in her hat that gently reflect off of the mirrors adds extra glimmer and makes her even more fantastic! This year we were actually selling her as we have 2 in stock, so if you were interested and fancied adding glamour to a space in your house, what are you waiting for?! The Rings of Saturn pendant fixture was a favourite and was our most bought light over the course of the show! The rings are on pivots which means that they can basically be designed by the owner – being made wider or thinner depending on design preference. The pendant can also be hung from a height as it has a 150cm maximum drop. Purchases have been made of more than one so that the light can be made into a feature and hung in a row – for example, above an island. The Rings of Saturn has been described as a modern chandelier. With a price of £97.15 (exc vat) how can you resist?! 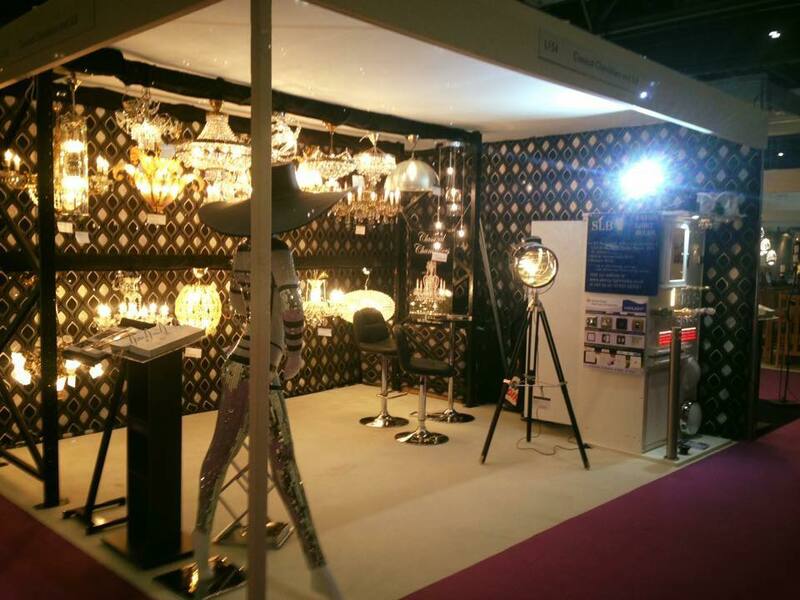 All of the chandeliers seen at the show on our stand were available in different sizes and different finishes; we can basically custom make a chandelier for you and work with you to get exactly what you are looking for. If you have seen a chandelier somewhere that you would like, feel free to email us a picture and we can work to get you a similar fixture to the one you have previously seen. ease of maintenance, cleaning and to make the fixture easily accessible should it be needed. For more information on winches, please follow the link to our blog article, (http://www.classicalchandeliers.co.uk/blog/chandelier-winches-2/) and if you would still like more information, please don’t hesitate to get in touch. 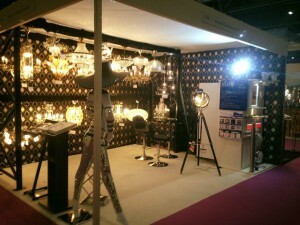 All of the products seen at the show are available to purchase from our website and can be seen again at our showroom. We also have about 40 other fixtures in our showroom for you to view and help you get a better idea of what you might want. We are always available to answer any questions, help or advice you might need. We look forward to hearing from you.